The above statement is an allusion to the holographic nature of the universe and reality as well where the part contains the whole and there is no separation, for reality is one. Quran is also a holographic text that must be studied with system meaning. In a holographic universe information about every part is enfolded into every other part. In other words, at bottom the universe is undivided, indeed indivisible. If we use the word “atom” in its original sense (a- no, tom parts), the universe is the only true atom. Remember how Christ in his wisdom teaching compared the infinite kingdom of God with a tiny mustard seed? Thats also for the same allusion. Ahad or Oneness is what It really Is. Qul Huwa Allahu Ahad! A gnostic said: The letter ba' [of the bismilllah] is the glory of God (baha' allah), the sin ("s"), is the splendor of God (sana' allah), and the mim ("m") is the sovereignty of God, mulk Allah). 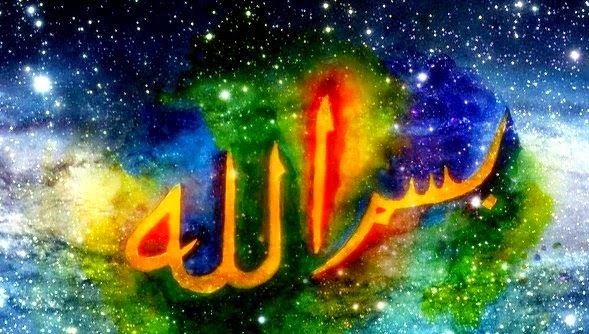 Allah is the God of all things. The bismillah is also considered a prayer in its own right, a source of divine knowledge and healing. It is said to contain, in addition to all the knowledge in the Qur'an itself, all the knowledge of the previous scriptures. It has been seen as a means of salvation and protection. The common translation for bismillah is "In the name of Allah", which is actually an idiom, an expression that really doesn't make much sense on a literal word-by-word basis. The phrase In the name of is an idiom having the connotation of with the blessings of, under the governance of, as an instrument of, in devotion to, in adoration of, on behalf of, with the support of, or for the glory of. In each of these cases, the idiom In the name of indicates that one is submitting to, honoring or glorifying that which is referred to. Now, let's take a deeper look into the Arabic roots of this magnificent word bismillah. * The particle bi which can mean by, for, with the aid of, through or by means of and points toward that which happens next. * The next word in this phrase is ism, based on the root variously reported to be s-m-w or a-s-m, which indicates the means by which something is distinguished, whether by use of an identifying mark, or by being raised up high so that it may be distinguished, and would include a name, reputation, light or vibration, and points toward the very essence of something, the inherent qualities and signs of the existence of something, the underlying reality of something. It is Divine Will that the Supreme Creator willed that It/ He / She is to place Man as It's / His /Her representative/ khalifah / vicegerent / deputy on earth. Allah says to Man, "O human being I have created everything in the universe for you, and have created you for Myself." Allah honored the children of Adam for they are chosen as guardian of divine trust, they are His / Her representative on earth. We who are blessed to be the khalifa of Allah on earth, whatever action we carry out, we carry out on His/ Her behalf. 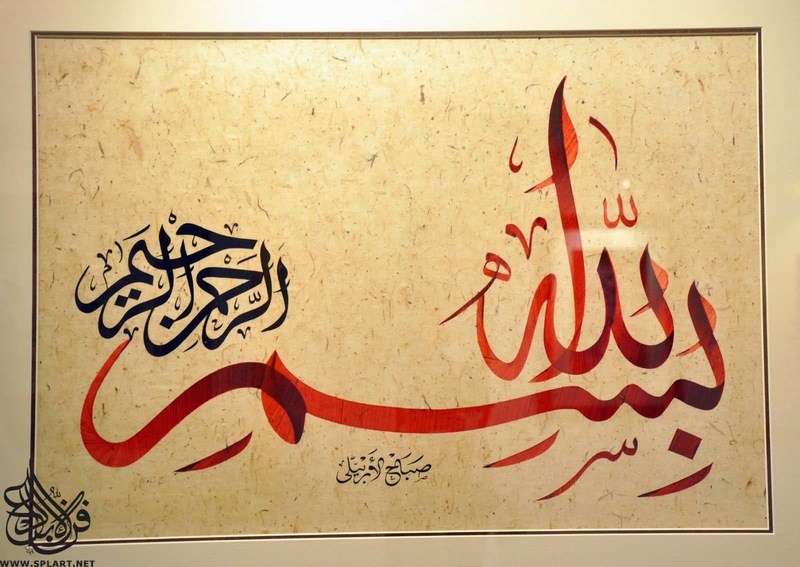 This consciousness is contained within the kalima, the sacred formula "Bismillah." The gnostic meaning of bismillah means, On Behalf of Allah. We are engaging, doing, carrying out this action on behalf of Allah, as Allah's deputy. Allah is the Hearing, Allah is the Seeing. Real Hearing and Real Seeing and like that for all action, the Real Doer is always the Supreme Creator. We are honored to be able to participate that by the bestowal of Allah. We say, indeed we are His and to Him is the ultimate return of everything, be it our soul, our actions, the intentions, energy of our thoughts, everything - for they were never ours, they were a trust given to us and all trust must be returned to its rightful owner and Who else is the Real Owner of all but the Supremely Sovereign King? Huwa al-Warith. He is the Ultimate Inheritor of all. All that is in the earth and in heaven belongs to Allah and to Allah alone. So a more accurate meaning, a more gnostic meaning of Bismillah is "On behalf of Allah","For Allah." May whatever we do, we are given the capacity to do it on behalf of Allah, in harmony of the Divine Will, for all enabling comes from Allah. Indeed our living, our dying, our prayer and our sacrifice all are for Allah. Bismillah! What is the gnostic meaning of the sacred formula "Bismillah?"